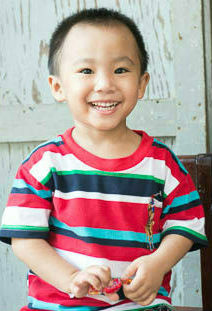 Help us change the world of Vietnam’s children! 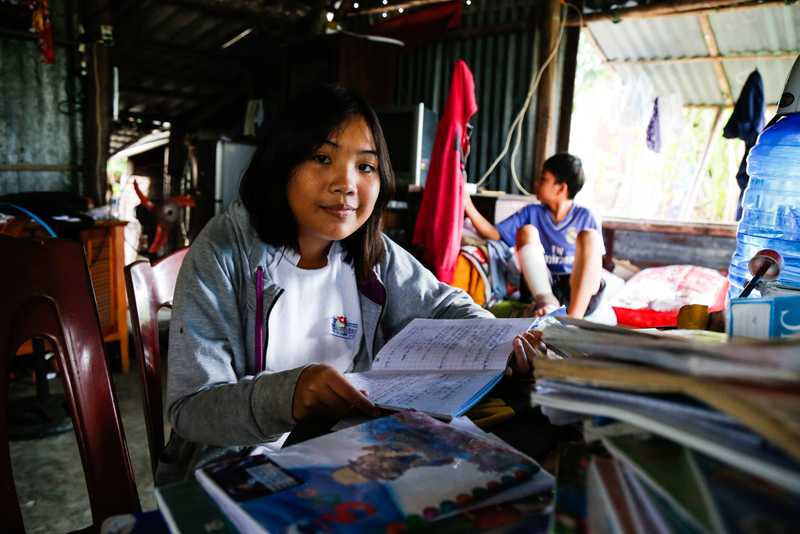 In central Vietnam’s Quang Nam province, access to education can be severely limited because families are responsible for the total cost of sending their child to school. With most families living on less than $2 per day, the costs of school fees and supplies are a large financial burden for the families resulting in children to stop attending classes. In addition, Vietnam requires that children attend additional classes during the school year in order to keep up with the curriculum. We believe that education is the stepping stone to success and provides a path out of poverty. Our educational sponsorship program gives the opportunity to disadvantaged children from the poorest families to receive a complete education. In a family of multiple children, even to have one child sponsored makes a huge difference financially but also mentally for the parents. *In Vietnam, kindergarten is not subsidized by the government, which is why sponsorship fees are substantially higher than grade school. Below are a just a few of the children who can be sponsored through CHIA with your help! Linh is in 1st grade and his favorite subject is Maths. Linh has a twin brother. They are living with their father and their elder sister. 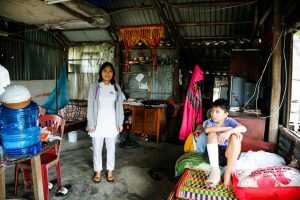 Linh’s mother suffers from mental illness so the father has to work so hard to cover all their basic living expenses. 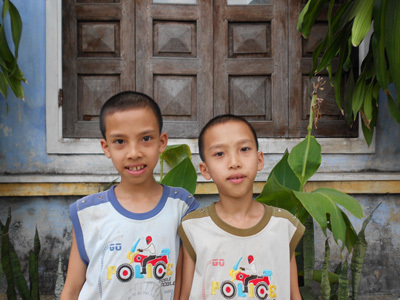 Khang and Truong are the 13 years old twins who are in 7th grade. Their parents got divorce 2 years ago so the mother has to take care of them. Khang also underwent Cardiac surgery when he was two. The mother is working as a local worker with a low income; that’s why it’s quite hard for her to cover all their living cost, especially school fees for her children. Trung is a pretty boy who is in 5th grade at the moment. He looks kind and intelligent. 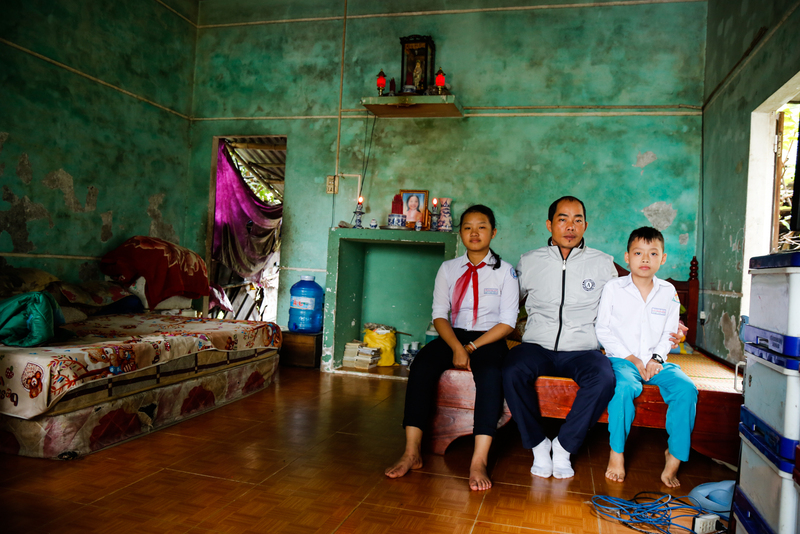 With 4 older brothers, Trung is the youngest member of his family. Because of the family’s disadvantaged circumstances, Trung’s brothers left school turn by turn as the family could not afford the education costs.He is the only person in the family who still goes to school. 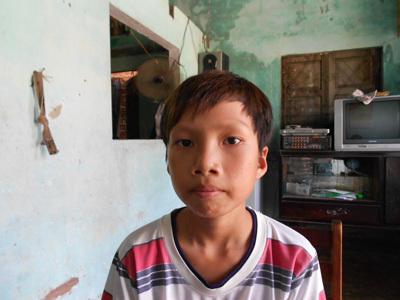 Trung wishes he could go to school and pursue his future dream. Tuan is in 8th grade. The circumstance of Tuan’s family is extremely difficult. His father is blind and has only 1 arm because of the war. The mother has 1 artificial eye and her remaining vision is poor. 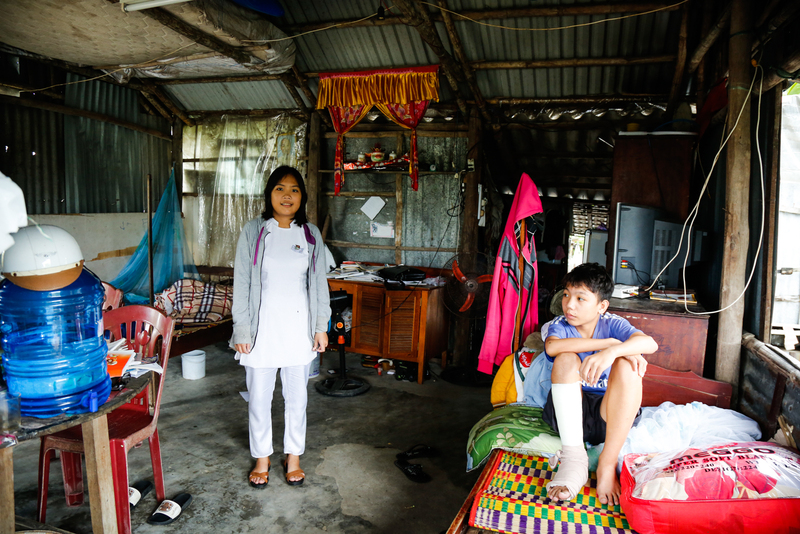 Tuan’s eldest sister has cerebral palsy, and spends her life sitting in her wheelchair. 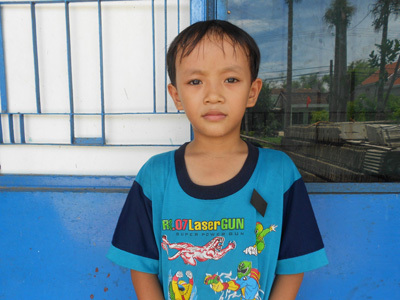 Fortunately, Tuan and his older brother are still healthy, and they both perform well at school.